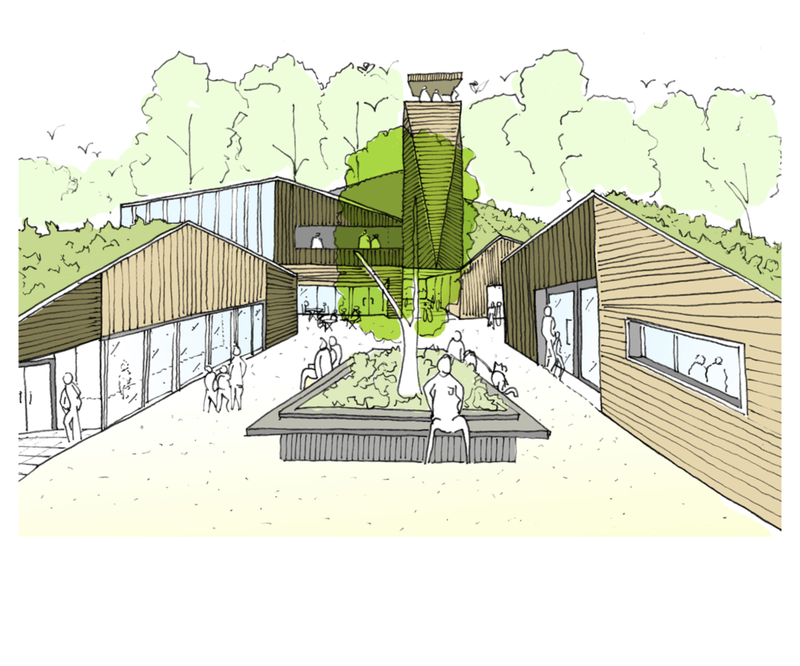 The Sevenoaks Wildlife Trust Visitor Centre sought creates a place for wildlife and people to come together. Our competition entry proposed a series of woodland pavilions which serve different functions for the centre whilst offering various views across the woodland and lakes. 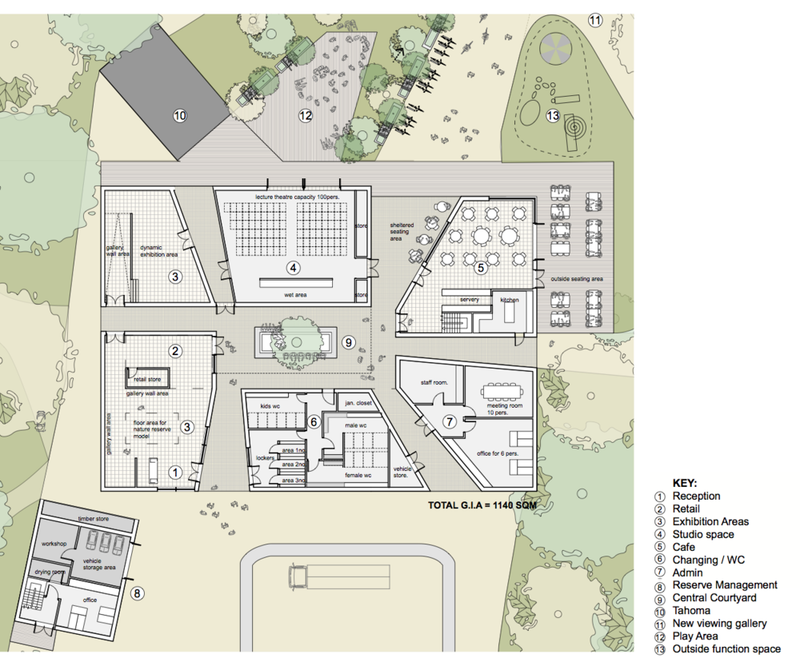 A central courtyard becomes a central way finding node for the reserve which connects internal activities together with the trail routes across the site. The building forms are angled to enhance the views out and appear to reach out towards the reserve, offering different glimpses of the reserve when using the facility. An observation was proposed to create a beacon of light becoming a navigation marker to trails on the far side of the reserve. Whilst users can climb for wider views, birds, bats and other local wildlife can nest within the structure. Enhancing the synergy between man and nature.